Nowadays social media like Facebook plays an important role to generate new traffic leads to our blog. It would be nice to add Facebook share button to Blogger Post so that our content can be easily share on the Facebook. We'll be customizing our Blogger Template in order to add the Facebook share button automatically on the top or bottom of every single of our posts. The visitors can then share the blog post on their Facebook by just hitting on the share button without have to do it manually. 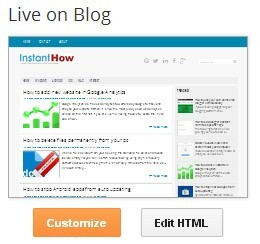 From the Blogger Template, click on Edit HTML button. Find for the second result, and paste the Facebook share button codes above the searched codes.